Morocco has 140 large dams with a total capacity of 17 Gm3. The amount of potential fresh water is decreased by sedimentation of clays and/or soil in the dam’s reservoirs. It is estimated at 70 million m3, surface evaporation and water loss by the banks and foundations. In this study, the environmental stable and radioactive isotopes together with geochemical and piezometric data were used to assess the impact of Zerrar dam on groundwater in Essaouira basin (western Morocco). The water facies has been determined and has evolved from Na–Cl type (before the establishment of the dam) to Mg–Cl and Ca–Cl type (after establishment). 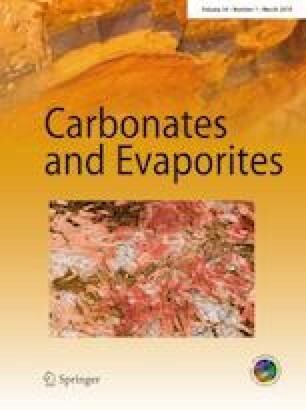 The dissolution of evaporates and ion exchange reactions are the main processes affecting groundwater composition. Groundwater level has been measured and shows a decline. 2H–18O diagram revealed that the aquifer recharge has assured by precipitation of oceanic origin without evaporation and by infiltration from Ksob Wadi. 3H and 14C content shows that this recharge is generally recent and the age of the waters ranges between modern and 2.3 BP (ka). However, the Zerrar dam indirectly influences the groundwater quality of the study area, because this one decreases the flow of the Ksob Wadi that is the main recharge source of the aquifer during rainfall. In addition, this Wadi flow suffers the effect of climate change, which decreases the flow of the Ksob Wadi (river) that adds to the effect of the dam. The authors gratefully acknowledge the technical staff at the Laboratory of Hydrogeology, CAC of Faculty of Sciences Semlalia and those of the International Atomic Energy Agency (IAEA) in Vienna for their constant help.